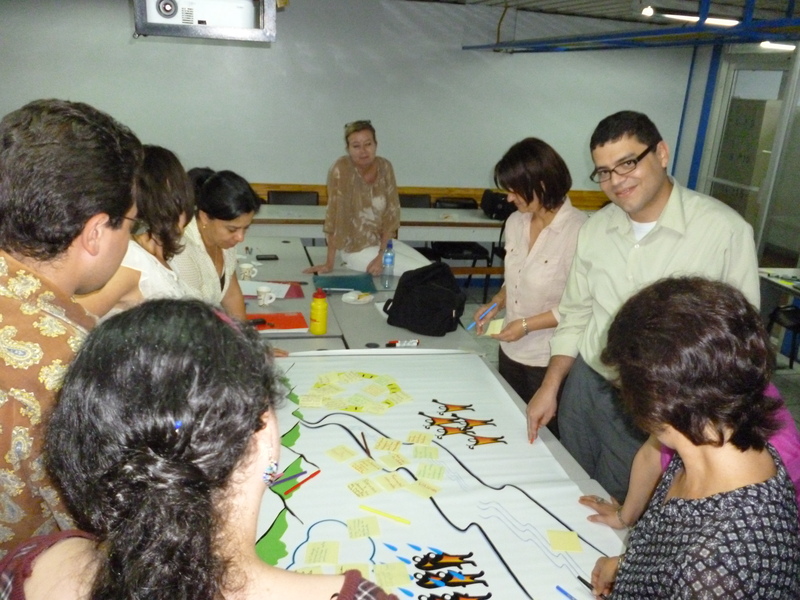 I don’t mean to say that I went to Costa Rica thinking that my colleagues there are doing anything wrong, but I did have a rather naïve presumption that the greatest challenge for facilitating change would be pedagogical. However, as it happened there were other just as important challenges, and the research stay turned out to be very educational for me. From the UNA campus – very exotic seen from the eyes of a Dane. The first project is called ” Curricular Innovation of Study Plans in the disciplinary area of System Engineering at the Universidad Nacional, considering POPP (problem oriented project pedagogy) as a methodological approach”. Dra. Mayela Coto and Máster Sonia Mora are the local researchers in this project. 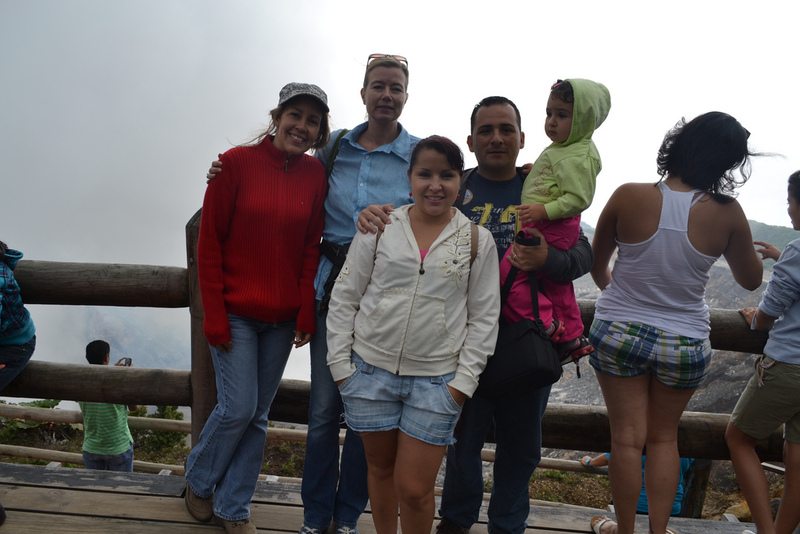 Maylea Coto received her PhD from Aalborg University (AAU) in December 2010, but is back living in Costa Rica with her family. My role in this project is fairly limited. I was invited to give an introductory lecture on the Aalborg PBL model (incl. the particular POPP approach) and to participate in a couple of workshops and research meetings focusing on implementing PBL. My AAU colleague, Professor Marianne Lykke, will go to Costa Rica in January to continue this work. 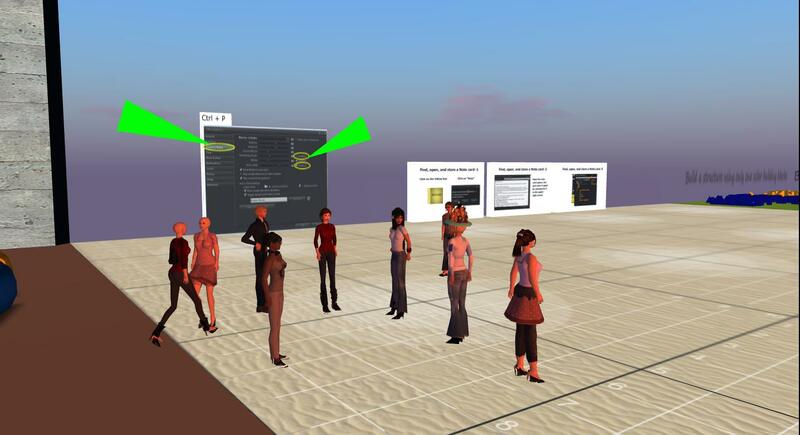 The second project is called “AVATAR: The use of Second Life as pedagogical approach”, and Máster Carmen Cordero, Máster Willy Castro & Máster Dinia Rojas are the local researchers in this project. My AAU colleague, Post Doc. Heilyn Camacho, who also is from Costa Rica, and I are working together in this project, and this is the context for the UNA-AAU course in SL that we currently are running. In the UNA-AAU course, we are also lucky to collaborate with Danish SL designer and educator, Inge Knudsen. Kick-off session in the UNA-AAU course. Before leaving for Costa Rica, Inge and I had tried to kick off the UNA-AAU course in SL, but we experienced quite a lot of technical problems and language challenges making it difficult to figure out exactly why things weren’t going as expected. Originally, Heilyn and I were supposed to go together to Costa Rica, but due to unforeseen administrative issues, I ended up going alone. Heilyn went a couple weeks later and experimented specifically with the Lego Serious Play concept to help the participants understand the course assignment better. SL participants in UNA Virtual’s computer lab. In relation to the UNA-AAU course, the participants and I spent two days in the lab mainly doing hands-on exercises, and we had a lot of fun. Introducing SL is always such a pleasure, and I really enjoy helping participants discover the many possibilities of this medium. There are nine participants in the UNA-AAU course, and for the course I’ve asked them to work in three teams. In one of the in-world exercises, each team had to go to a representation of a specific country (Denmark, Costa Rica, and China (Inge is also a Sinologist)), explore, find facts and take pictures, and finally present their findings to the rest of us. Not only did this exercise demand the mastery of basic SL skills, it also highlighted the inter-cultural aspect of the course, and it seemed to work very well. Setting up the three presentations in the sandbox. 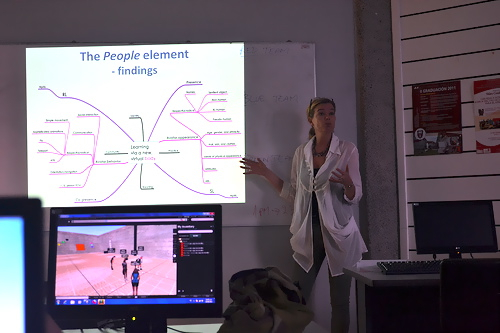 On the second day, I gave a short talk about my research in SL, tried to elaborate on the pedagogical underpinnings of the course, and we continued exploring and trying out different SL features. I was truly impressed by how fast the participants understood the more technical aspects of SL, but it was also very apparent that the majority of the participants did not understand English very well. 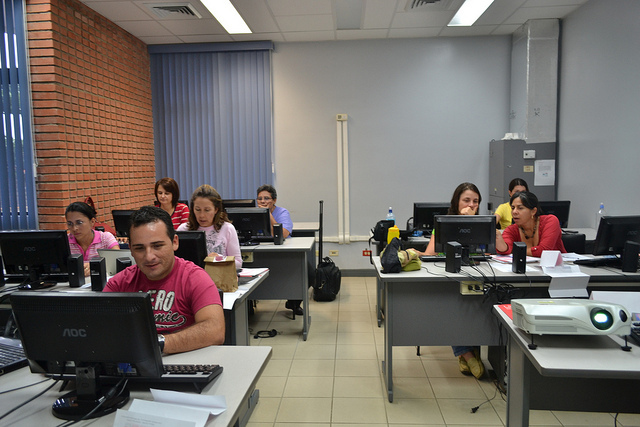 Another challenge was the time that the participants are able to allocate for the course. 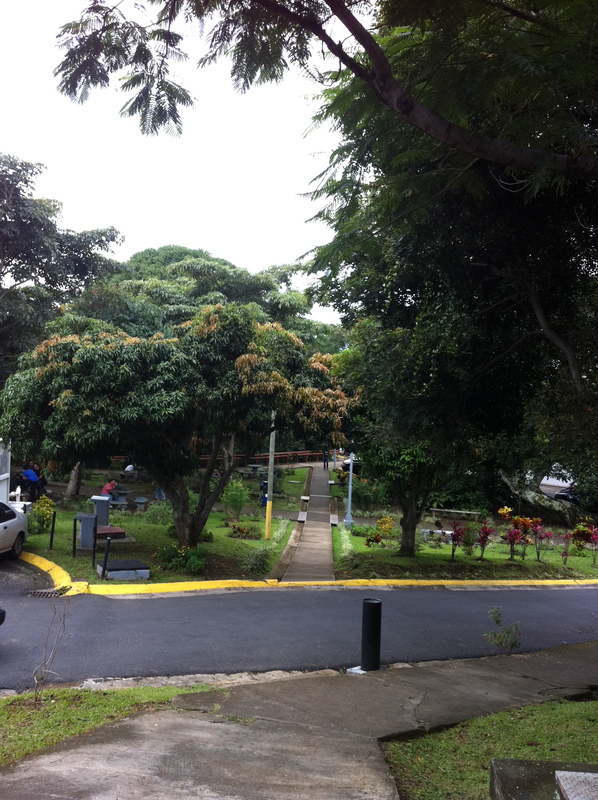 In Costa Rica there seems to be little tradition in Academia for giving the faculty time to participate in Professional Development (PD), and because the salaries are low, many teachers actually hold two jobs to make ends meet. In the UNA-AAU course this means that the participants can only allocate 3-4 hours/week, and anyone who has been working with and in SL knows that it takes time to learn the basics and time passes quickly once you have logged in. Therefore I decided to cut the course literature (for many it would take more than 3-4 hours to read one English text), and focus on giving the participants some good and relevant experiences in SL. I have designed the course based on some of the fundamental principles of PBL (problem orientation and formulation, student control, open-ended curriculum, and qualitative assessment), but given the above-mentioned challenges, I have found it necessary to play a more instructional role than I usually would do. By the end of the course, the participants still have to present an analysis of SL as teaching and learning environment in relation to a self-chosen target group, but I have asked them to use a particular model for their analyses to ensure that they cover some of the most important didactic/instructional elements. For the presentations, each team has its own sandbox in the air above the Danish Visions Island. In both research projects, UNA has asked us to collaborate in terms of teaching and research. 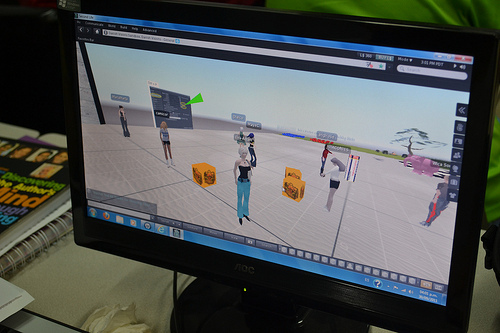 Though the projects are different, they are both aiming at implementing new pedagogical strategies and technologies. Making the change to start using a PBL framework and SL as technology is a big change in itself, but based on my experience in Costa Rica, I would say that the biggest challenge has to do with culture. Ready to embark a gondola ride into the rainforest. All of the teachers I met in both projects were eager to change and to learn about new kinds of pedagogical practice, and I feel confident that they will. I do, however think that there are several challenges that need to be addressed. Certainly, my colleagues and I will do our best to support these Costa Rican teachers, but unless the management of the university recognizes that PD demands time (and credit), I fear that the changes they are all hoping for may take many years. A very interesting – and somewhat paradoxical – perspective on this, is the fact that education per se is highly prioritized in Costa Rica. There are more than 50 universities in this small country with only approx. 5 mio. people! Changing a pedagogical/academic culture is obviously not something that happens over night, but it does seem like the appropriate place to start, and at least the context is something that we (from the outside) need to consider very carefully when designing for change. [Culture] is a system of shared beliefs, values, customs, behaviors, and artifacts that the members of a society use to cope with their world and with one another, and that are transmitted from generation to generation through learning. Bates, D.G. and Plog, F. (1990:7): “Cultural Anthropology”. 3rd ed. New York: McGraw-Hill.